It’s tempting to call Mundo the most important restaurant to open Downtown in the past 20 years. If it survives, it will almost certainly be hailed as such. 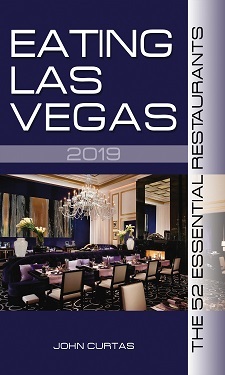 If it doesn’t, Las Vegans will only have themselves to blame for not supporting a place pulling out all the stops to impress. It’s easy to dismiss the location—tucked into a corner of the World Market Center—as difficult-to-foreboding. But find it, and the surrounding Land of the Giants buildings won’t seem so intimidating. And once you get settled in, you’ll find plenty of reasons to return. The décor—Moroccan lamps illuminating comfortable booths, a smattering of tables atop concrete floors—might not be to everyone’s taste, but somehow, the room conveys a coziness that extends to a cool bar, well-stocked with tequilas and some of the best sangria around. 95 S. Grand Central Parkway (World Market Center building A), 270-4400. Recommended dishes: queso flameado, $12; poblano corn soup, $8; carnitas, $24; ancho/chipotle-braised short-rib enchiladas, $18. Prices and portions smaller at lunch. That blend of comfort and cutting-edge also describes chef Robert Solano’s nouveau Mexican food. All of the usual suspects are there—carnitas, guacamole, tamales and quesadillas—but upon close examination, you’ll notice his queso flameado is made with asadero and goat cheese, spiced mushroom and a serrano-chile drizzle. Order the tortilla soup, and instead of the usual insipid chicken stock, a deeply flavored, dark broth of roasted chilies and tomatoes comes to the table, scented with epazote and topped with Oaxaca cheese. Equally arresting among the starters: the garden quesadilla (stuffed with fresh avocado, caramelized onions and sun-dried tomatoes), the chopped salad (poblano chilies, radishes, apples, queso fresco, pumpkin seeds, raisins and Maytag blue cheese), and spicy poblano chile corn soup. Chipotle-glazed shrimp in an addictive tamale sauce. If I have one criticism, it’s that the menu is a beast. At dinner, you’re confronted with 13 starter courses and 19 mains (not including specials), which makes for a lot of reading. Still, the carnitas might be the most deeply flavored ones you’ve ever had, and the sweet chipotle-glazed shrimp tamale’s sauce would make shoe leather taste good. Sea bass is given the in-parchment treatment to juicy, herb-flecked effect, and the sarape de pollo is a heavily dressed, pounded chicken breast loaded with pico de gallo, guacamole and mint chimchurri that makes for a well-spiced mouthful. If beef is more your bag, you’ll find no less than five preparations: skirt steak, mixed grill, rib eye, filet and short ribs enchiladas—of which the ancho- and chipotle-braised short ribs are the most meltingly tender and authentically spiced. After all of this handmade, exotically seasoned sustenance, the desserts feel commercial and not worthy of the rest of the menu. The sole exception—the bread pudding, a thick square of fruit-infused pudding in a nice puddle of caramel-streaked vanilla sauce. A Downtown restaurant with a groovy design and a real chef in the kitchen? Seems like manna from heaven. If the city of Las Vegas is ever going to be considered world-class for anything but bums and cheap beer, then Mundo needs to be a hit with el mundo, rapidamente. Just had a great lunch there today. Excellent quality at extremely reasonable prices. I’m looking forward to returning. had lunch there today. chips and salsa were not very good. the spicy salsa was lacking salt and the tomatoe based salsa was PACE. the quacamole was average,nothing to write home about, calamari salad appetizer was not bad. and the shrimp in a corn husk was good. Nothing to write home about and 60$ for two for lunch and I only had the appetizer I wished it would have been more memorable. very nice decor and comfortable chairs. I would probably not go back. Border Grille at Mandalay was a better place.